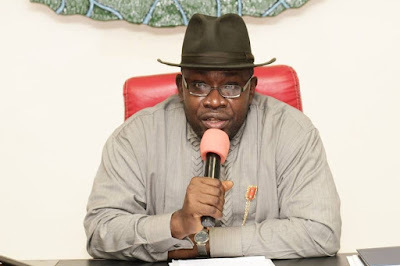 The Governor of Bayelsa State, Seriake Dickson, has reacted to rumours of poisonous vaccination to the public by the military under the Operation Crocodile Smile II. The governor said the military cannot give Nigerians poisons in whichever form. Dickson on Saturday urged the people of Bayelsa to discountenance the rumour that the exercise would endanger the health and safety of the people. Dickson, who described the rumour as unfounded, urged Nigerians not to panic. “The military and other security agencies are a force for good and I want to use this opportunity to call on community leaders to continue to support the military. “We can’t have a Nigerian military that is coming here to inject people with poisonous substances. “That is not the army we have. This is our own army. These are our brothers, friends and fellow Nigerians, who mean well for all of us.’’ Dickson said.